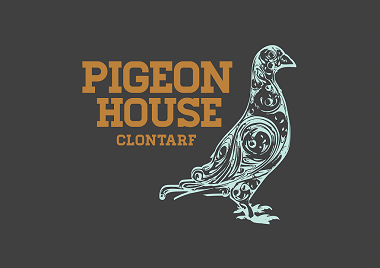 The Pigeon House Restaurant in the sunny suburb of Clontarf. Housed on Vernon Avenue. The building has undertaken a complete refurb and has a modern contemporary feel. Great attention to every little detail has been taken by owners Paul Foley and Brian Walsh. There is a strong focus on the ever popular casual eating scene here, though you will experience casual eating taken to the next level. Always excellent - pigeon house never disappoints . Excellent service and food always. excellent food and service, good atmosphere and value ! After a wonderful lunch in the pigeon house I came back for dinner. The menu was restrictive for vegetarians. Pasta with cheese. As a vegetarian, cheese becomes part of too many meals and I certainly don’t want the only option for a main to be pasta and cheese. When designing a menu you should consider who you’re designing out of your restaurant. If I had pre-screened the menu, I would not have gone. Lovely restaurant with great service & value for money. The food was lovely! Lovely place! Heartly recommended for families and friends! Beautiful fresh food presented well. Great service and at a very affordable price. Would highly recommend for all occasions, family / friends / date night. Love this restaurant I cannot find fault with the food, great service, great portion size and lovely location. Delicious meal. Nice setting. Great value. had a super mid-week family supper full of tasty surprises - the jelly of the jelly in icecream was a revelation. 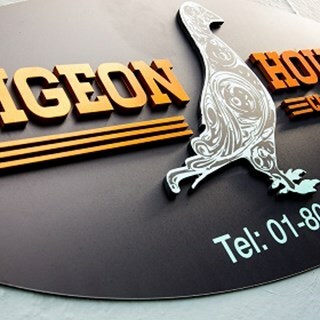 Pigeon House has become a firm favourite with my family for birthday lunches. It’s a lovely spot with a very tasty menu. Thank you for looking after us well yesterday. Service was quite slow but food was great. Had been meaning to go for ages and eventually went on Mother’s Day. We had 2 visitors so the original booking of 2 adults and 2 children (under 3) changed to 4 adults and 2 children. This late change was accommodated straight away. The food was gorgeous and the waiting staff were very helpful also offering advice. Will definitely be back. All in €98 for 4 adult and 2 kids breakfasts with coffees, teas and 2 mimosas. Great service and very accommodating to our son with autism. An excellent night for our family get together. The staff were so helpful and friendly and the food was divine. Our Group had our own chosen menu and everyone said the food was superb. We even had a chef in the mix who complimented each course saying it was excellent. The garden area reserved for our group of 23 people worked brilliantly- lots of ambiance and an area where we could freely move table to table to chat, laugh and catch up with our family. Such a lovely evening. Thanks so much Dave and Aisling for all your help and see you again soon. 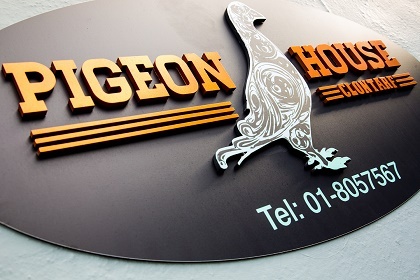 The Piegon House is a perfect spot for brunch. The menu is great (both the Turkish eggs and Pancakes are amazing and everything else looks fab too!). The service is unobtrusive but attentive and the space is wonderfully looked after. The only issue sometimes is the sound level, but I understand that's purely due to busyness and can't be helped. I've been back several times and will be again! Top class neighborhood restaurant. Desserts were a particular highlight for us. Food was delish, staff very accommodating! Food was impeccable and the staff were as friendly and helpful as ever! Have been quite a few times now and have only had lovely experiences. A smashing place.